Flying is supposed to be easy. All you’re expected to do is get yourself and your belongings on the plane. The rest is the responsibility of the pilot and airline crew. Typically, air travel is smooth sailing and flights get to where they’re supposed to be, but that wasn’t the case for one recent flight from the United Kingdom to Germany. 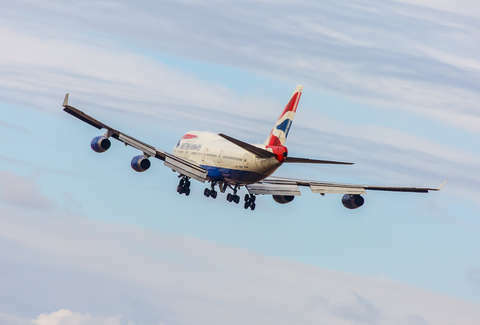 On Monday, a British Airways flight left London City Airport full of passengers eager to arrive in Dusseldorf, Germany, but that’s not where it landed, according to a report by Matador Network. Instead, the plane touched down in Edinburgh, Scotland -- 500 miles from the planned destination -- and passengers had no idea they were in the wrong country until the pilot welcomed them upon landing. The mistake wasn’t the result of a wrong turn, but rather incorrectly submitted paperwork. “He said it had never happened before and that the crew was trying to work out what we could do,” Cooke said. Another passenger, Zsofia Szabo, told CNN that she realized something was up, when she noticed mountains rather than the “usual German industrial landscape” upon arrival. A colleague seated nearby asked her to “check Google Maps -- and it showed us being around Carlisle,” she said. Szabo said flight attendants asked for a show of hands from people who believed they were travelling to Dusseldorf, which is when panic set in. Passengers were eventually delivered to Dusseldorf, but not before making the accidental pitstop. According to the BBC, everyone on board the misdirected plane had to sit on the tarmac in Edinburgh for two and a half hours. The aircraft’s toilet was blocked, and no snacks were made available. Before things started to resemble a scene from Lord of the Flies, everyone was freed and sent on their way. The Guardian reported that passengers will be compensated for British Airways’ mistake. Each passenger will get about $280, which isn’t much, but is better than nothing. A British Airways spokesperson told the outlet they were investigating the cause of the incident and regretted the mistake. It’s not every day you hear about people ending up in the wrong country. Let’s just hope it continues to be a rare occurrence.